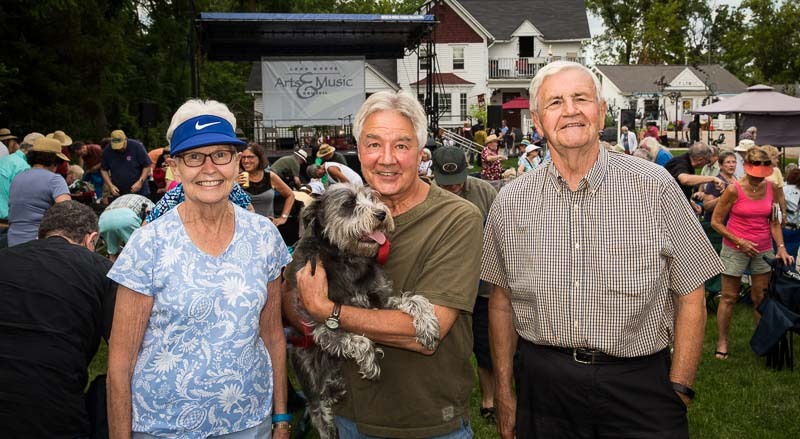 Arts & Music Council concert series founder Tobin Fraley (Left) and loyal concert supporter John Marshall (R) join me at the July 9, 2017 kickoff concert. One of my favorite summer activities is now in full swing–the free outdoor concert series on Sunday afternoons at 4:00 on Towner Green. Blues harmonica artist Corky Siegel and his band performed for the sixth consecutive year at the kickoff concert earlier this month on July 9th. I was lucky enough to be one of the estimated 350 people to relax, meet up with friends and neighbors, and enjoy some beautiful music in our historic downtown. Long Grove residents are truly fortunate to have free entertainment of such high caliber right in our hometown. But is anything in life really free? In Long Grove, many of the elements that make our community so special are the result of volunteer efforts. This summer, we can continue to enjoy this wonderful concert series because of the passionate and committed work of the members of the Long Grove Arts and Music Council. Thank you!! In my opinion, a true gem in the revitalization of our village is the enrichment that comes through music and the arts. For the last twelve summers, the Arts & Music Council has given us the gift of this high quality concert series to enjoy. 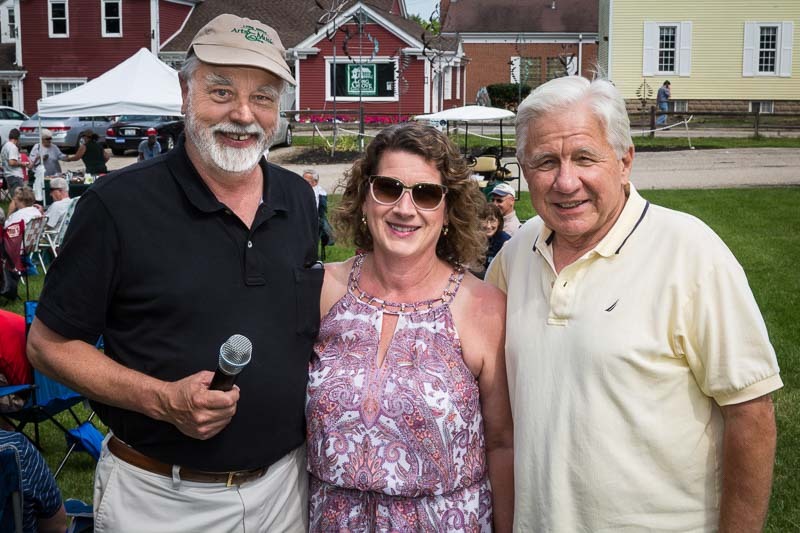 Besides the diligent efforts of the council volunteers, monetary support for the concerts comes by way of donations from individuals, civic groups, businesses, and a grant from the Village of Long Grove. I hope that this can continue for many more years to come. Enjoying the July 9th concert (L to R): Mary Dorner, Mike Dvorak, and George Dorner.